Upchain is a cloud-based Product Lifecycle Management (PLM) solution promising rapid deployment and adoption for product innovators across any industry sector. Priced over three SaaS packages spanning Lite, Standard and Professional that scale Upchain's features for greater service flexibility, the browser-based software boasts its own integrated 3D CAD viewer. Model files of over 25 formats can be imported and collaboratively worked on by all team members, allowing for markup, commenting and supporting document uploads. Cross-CAD compatibility then integrates the system with popular third-party CAD software such as AutoCAD, facilitating data synchronization that includes Bill of Material (BOM) being linked automatically to underlying CAD metadata. Change management processes can be controlled by leveraging customizable, automated workflows for handling issues, RFQs, ECNs and ECRs. Similarly, version control is automated with recorded changes for instant reversion plus the tracking of who did what and when for change auditing purposes. General workflow design and creation tools enable repetitive tasks or processes to be streamlined while also monitoring team member performance levels that can be summarized within dashboard reports that intuitively gauge project status. Additionally, Upchain empowers all team members and stakeholders to work natively within their favoured business applications thanks to integration plugins for Microsoft Office apps such as Outlook, Excel and Word among others. It gives us one platform to manage part changes.We deal with a lot of part changes coming from our clients. Upchain let's us have more control over the process. We can assign projects to people and be able to track changes and project info. We deal with a lot of part changes coming from our clients. Upchain let's us have more control over the process. We can assign projects to people and be able to track changes and project info. The setup takes some time. We had a lot of data that needed to be moved into the system. 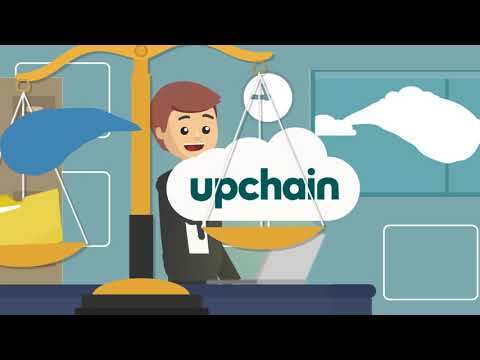 Upchain staff worked with us until we got it done. We offer simple PLM pricing to suit your needs. Mix and match seats to empower your team. There are never any implementation or hidden service fees. Choose between Lite, Standard, and Professional licenses in your subscription. Upchain's browser-based software promises rapid deployment and adoption, with cross-chain engagement that tracks project progress from a single screen. Core features include change management control support for handling issues, RFQs, ECRs and ECNs, with automated version controls that also log who made what change, and at what particular time for quick revert and reliable auditing. Every monthly pricing plan includes a built-in fully functioning 3D CAD viewer with the ability to import CAD files, with Bill of Materials (BOM) synced to CAD metadata for improved organization. Automated workflows and processes can be designed, managed and updated to streamline repetitive manual tasks, while tracking team member activities and using customizable dashboards to snapshot project health overviews. Multi-CAD integration is joined by plugin-based support for Microsoft Office products such as Excel, Outlook, Powerpoint, and Word to enable all stakeholders to collaborate using familiar workflow applications. Below are some frequently asked questions for Upchain. Q. What type of pricing plans does Upchain offer? Q. Who are the typical users of Upchain? Q. What languages does Upchain support? Q. Does Upchain support mobile devices? Q. Does Upchain offer an API? Yes, Upchain has an API available for use. Q. What other apps does Upchain integrate with? Q. What level of support does Upchain offer?